my sti racecar needs an engine. we were planning an h6. that engine was not forthcoming and (this is news) I'm likely selling or parting out the racecar and maybe the trailer. haven't made up my mind. meanwhile, the gtr is at Baker performance for an interior freshening, a new long block and another 400hp. we did a complete rebuild of the transmission with a ppg gearset last year. Car already has a PERRIN inlet on it. It’s a blouch 20g XT-R, AEM 320 fuel pump, 1050x injectors, aeromotive FPR, Mishimoto FMIC/Intake, COBB catted DP, and a built motor with Manley H-Tuff Piston/Rods, and a ACT HD clutch. So yea, really just needs a flexfuel kit/V3/proper tune and it’s good IMO. You're going to want a bigger fuel pump and bump the pressure, or get bigger injectors for a 20G-XT-R on corn. I have a customer on a 20G XT with E85 and 23-24 PSI running ID1000's with about 50 PSI base pressure (can't recall the pump, probably a 320) and we've gotten it to 126% IDC. I’ve heard the 1050x’s were a way better injector than the 1000cc’s. I can definitely do a bigger pump, are there clip in AEM340’s? Don’t really wanna destroy this fuel pump housing for a Walbro 450. But injectors are probably gonna stay cause I don’t really want to drop $900 on 1300cc for an extra 20-30whp(maybe). Gonna have to do a little research about that. Either way. It’s very close for the jazjuice(nohomo). Lol. The ID1050's are a much better injector, but they are marginally bigger. I've got a set of them in my S2000 and ID1300's in the STi. For a street car, I don't have a problem pushing injectors past 100%, since it's not actually static and probably closer to 80% of what the injector can do. Kevin ended up doing the Radium drop-in, which I think helps with surge... Haven't looked at the design in awhile. It also give you a bigger jet pump, which is something I swapped (Radium jet pump) into my car. Yea, I know I wasn’t touching the fuel system at all in the white STI, it was a ID1300/Walbro 450/flexfuel combo. I’m ok with that being the limiting factor in this situation cause I’m still gonna be in the 400whp range. I’ve seen 400whp 20g STI’s at altitude on a Mustang Dyno, so I’m sea level now. I’m sure it’ll be good. Also, my problem is, I’m not trying to ball out on parts. Haha, so little things I’m good with. Just not trying to break the bank again. It doesn’t need it currently. Just trying to have a fun DD again. Also, pretty positive i still have a 450 laying around from last year when I thought my pump died and I snagged that bulk head fitting from you. So that’ll save me some money if I go that route. Mustang dynos... They're all over the place. You can get plenty of fun out of that setup. And I can see just how far that fuel system will actually go. 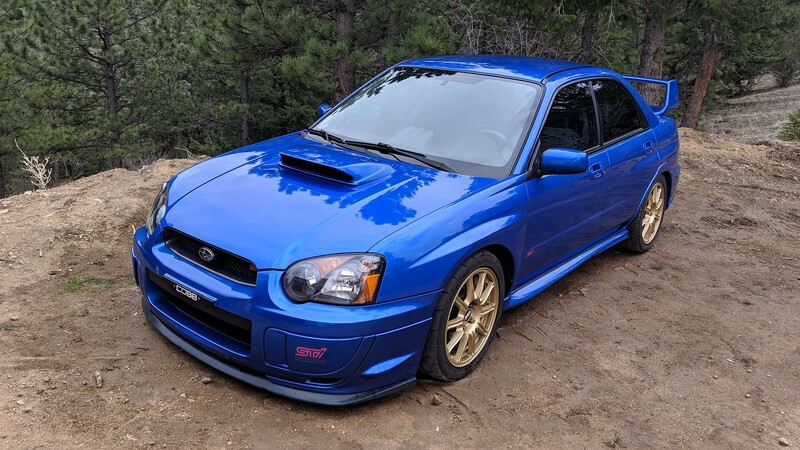 I mean, for credibility, my sti made 417/427 on E50 on the same dyno my friends 20g STI made 405whp on E. And my STI ran high 11’s at DA4500 on a shiiiitty track. That's satisfying... Haven't buffed or waxed this in the 10 years I've owned it. But, that's coming very soon! Last edited by yamahaSHO; 04-21-19 at 02:58 PM.